Turnitin is tool that checks submitted papers against other papers and common websites as a plagiarism deterant. It is built into Moodle - select it as an assignment option under the Add and Activity or Resource menu. 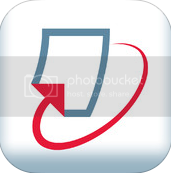 Turnitin offers a variety of grading features beyond plagiarism checking: an iPad app, built in rubric feature, and grading sheets. Use the tabs along the side to navigate this guide!